Rochester, NY (WXXI) – Harris Corporation has been awarded a nearly $196 million contract to help build a space-based telescope. The work involves the Wide Field Infrared Survey Telescope, or WFIRST, for short. Much of the work is being done by the Harris operations in Rochester, and Senator Chuck Schumer says the federal contract from NASA will help support 160 local jobs. Laura Abplanalp is Director of Civil and Commercial Imaging for Harris Space and Intelligence Systems. She says the work by Harris involves modifying a telescope that was originally designed for a different federal program. 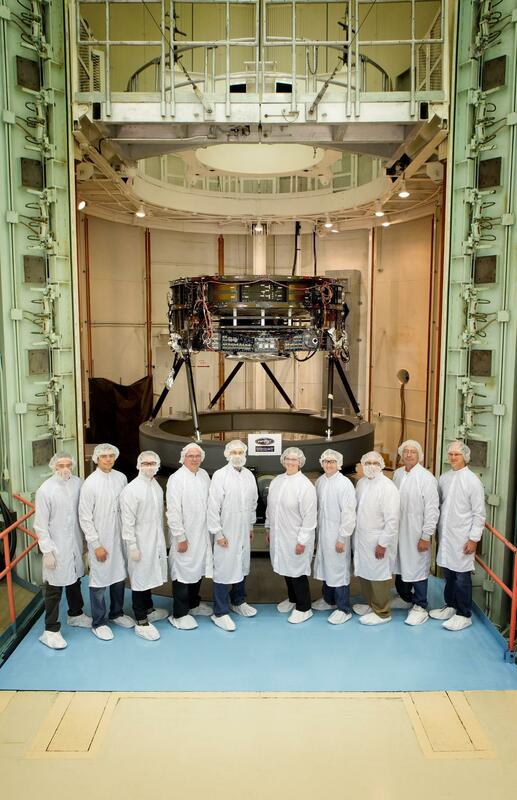 “Harris is taking the telescope that was built for another mission and we’re going to take it apart and we’re going to put it back together again and adjust its performance so that it meets the WFIRST requirements,” Abplanalp told WXXI News. Abplanalp says this telescope provides a view of space which is 100 times greater than the Hubble telescope, and it will be able to measure light from a billion galaxies. Abplanalp says the project will also help to teach the next generation of engineers about dealing with technology like this. Local Harris employees will be working on modifying the telescope over the next four years. The WFIRST telescope is expected to become operational sometime in the mid 2020s.